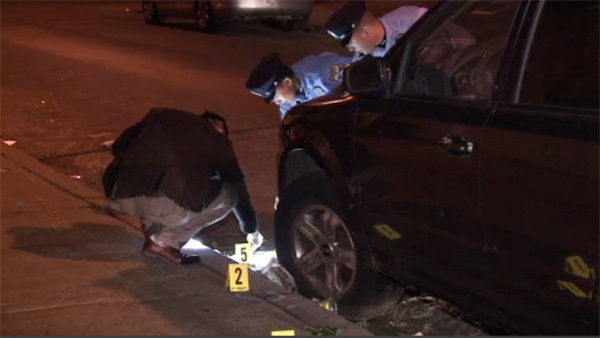 SOUTH PHILADELPHIA (WPVI) -- Police are looking for two suspects in connection with the shooting of a 17-year-old male in South Philadelphia. It happened around 8:50 p.m. Saturday along the 1500 block of South Etting Street. The teen was shot in the buttocks while on the street. Responding officers rushed the victim to Penn Presbyterian Medical Center. So far, there are no arrests or word on a motive.